Recessed downlight / compact fluorescent / square / polycarbonate - CCT FLASH SQUARE - Targetti Sankey S.p.a. 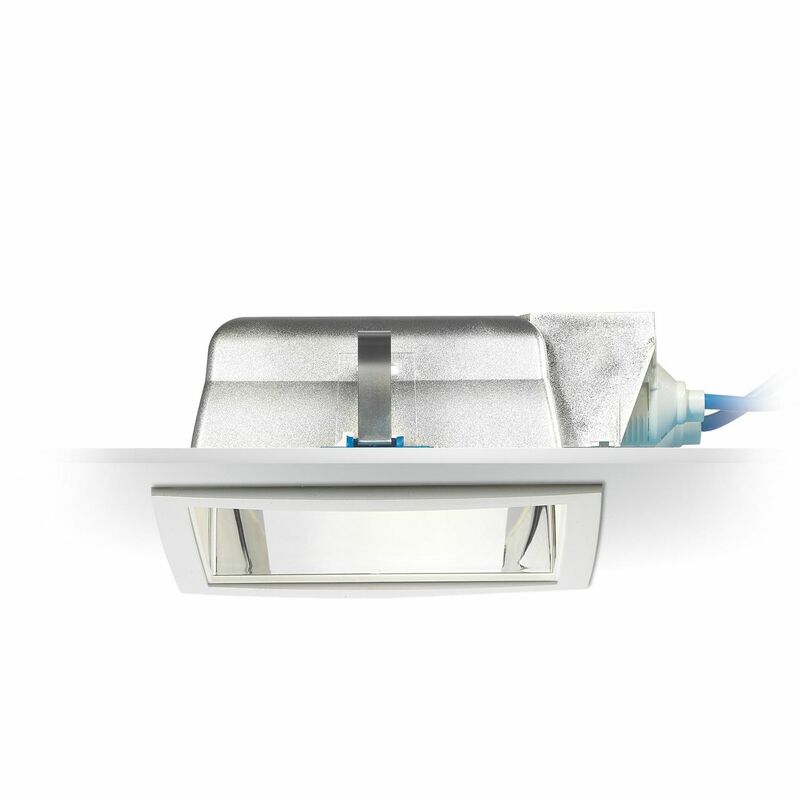 Lighting > Architectural lighting > Recessed downlight > Targetti Sankey S.p.a.
CCT FLASH SQUARE Targetti Sankey S.p.a.
Recessed downlight for compact fluorescent lamps. Body and square bezel in white polycarbonate. Flood reflector in metallized polycarbonate, with highly-reflective “Scratch Proof Formula” lacquering. Rapid mounting system for false-ceiling installation. Available with electronic, analog dimmable electronic 1-10V, digital dimmable DALI and permanent emergency power supplies. The permanent emergency version is complete with common neutral, this version is available on request with separated neutrals.